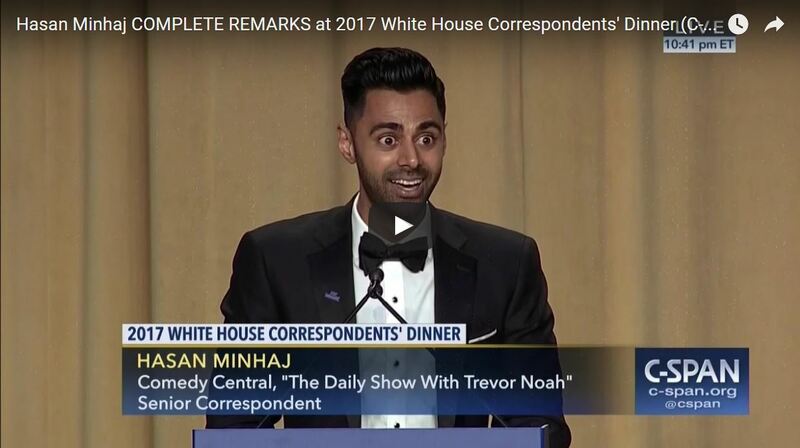 White House Correspondents’ Dinner host and Daily Show star Hasan Minhaj delivered a blistering criticism of Donald Trump Saturday night at the Washington D.C. gala, attacking the president for not showing up to the annual event that is supposed to celebrate free speech and a free press, but turns out to just be a self-congratulating club to pat themselves on the back. 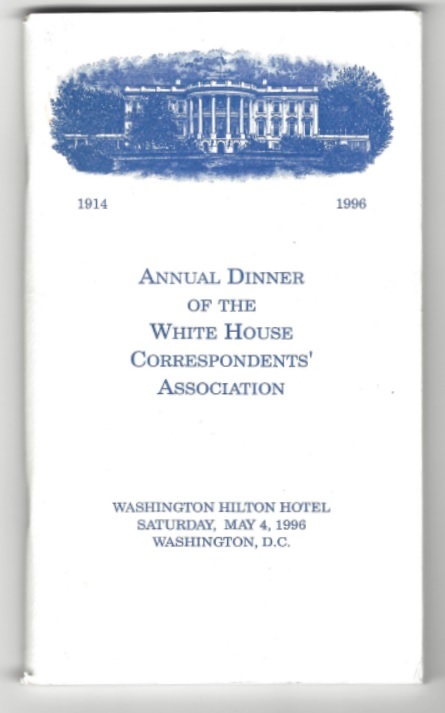 While the dinner is typically supposed to roast the President, Trump knew the media would use the event to just be more nasty and Hasan Minhaj did as expected. It is one thing to roast someone, and another completely to attack policy making it just a leftist argument because your voted for the other team. Minhaj, who is an American comedian of Indian heritage, claimed to be an immigrant but failed to distinguish between those who legally come and have to prove they have something to offer like every other country, and those who do not. BREXIT won in Britain because the Indian population was insulted that they had to prove skills and learn to speak English just to get into Britain while all these people claiming to be refugees have to do nothing. It was the bulk of legal immigrants who voted for BREXIT. It was the legal Mexican vote in Florida that voted for Trump. I had a long conversation with a legal Mexican family who voted for Trump and their take was rather simple. The illegals are the one’s who have nothing to offer and tend to commit the crimes that then reflect badly upon all Mexicans. The crime rate in Germany has soared and 50% of all crime now involved the refugees because they have no skills and want what everyone else has without working for it. You expect these people to just exist and do nothing. That is not a reasonable expectation. Thank you ABC, CBS, NBC, CNN, New York Times, and Washington Post for your undying patriotism to defend ALL the people of the nation – not just left-wing Democrats or Socialism or manipulate stories to sell your own political agenda. Right! No doubt mainstream media’s hatred of Donald Trump will fit in perfectly with the ultimate drop in confidence in government overall, which is part of Big Bang on our model from 2015.75 into 2020.05. The mainstream media is so bad, they are clearly trying to undermine the country just because Hillary lost. 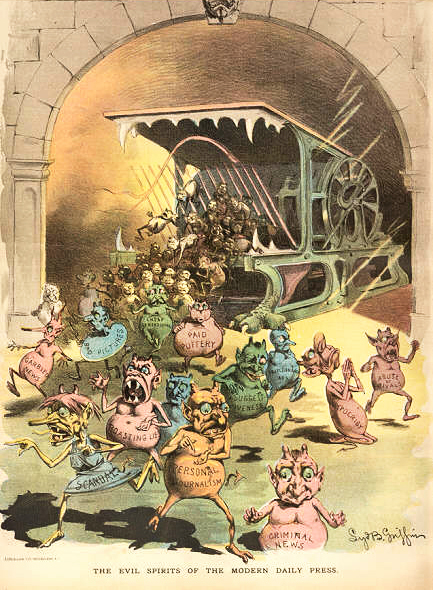 Here is an illustration from Puck Weekly Magazine “The Evil Spirits of the Modern Day Press”, published Nov. 21, 1888. See, history repeats because the passions of man never change. You guessed it – that was the US presidential election held on Tuesday, November 6, 1888. It saw the incumbent Grover Cleveland (Democrat), challenged by the Republican Benjamin Harrison who won. Then too, the general election was pretty close with Cleveland winning the popular vote just like Hillary, but by almost 1%, while Harrison managed to win the electoral vote 233 to 168. The more things appear to advance, the more they remain the same.